Caption : Kottayam,23/03/10. 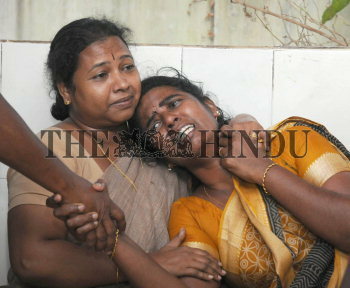 Thazhathangady bus tragedy: Relatives of the missing and the dead persons at the Kottayam Medical College Hospital. Photo: H_Vibhu.